Thanks to you, we were able to reach the objective of 10000 Euros in record timing. And like any good cyclist, we aim to reach even higher summits! 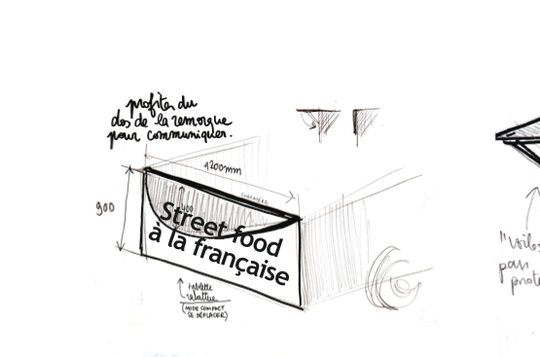 If we reach 13000 Euros, we would be able to create an online exchange platform to give you the opportunity to interact and communicate with us and to propose new recipe ideas for Street Food à La Française. If we reach 16000 Euros, you'd be helping us financing a new point of sale which would allow us to grow even faster and enter new cities... ! Street Food à la Française is an innovative concept that adapts terroir cuisine to a nomadic consumption. Our team, having studied at Institut PAUL BOCUSE, stresses on four values; Quality, Terroir, Adaptability and Urban Friendly. 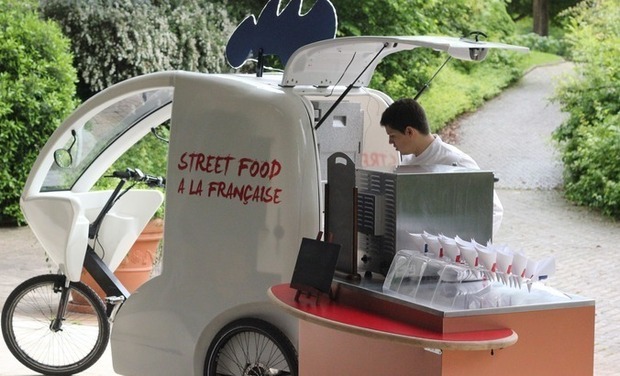 We offer French traditional recipes through a unique point of sale, a Food Bike! • Terroir & Quality : When we talk about Street Food a la Francaise, we directly link it to terroir and know-how. All of the recipes of our culinary heritage have a logical origin and are related to a this rich land that we live on. This is why we have no interest in selling imported products but promote products that are local and of quality. • Adaptibility : Street Food a la Francaise should be able to easily adapt; from one hand towards its clients as we offer at the same time recipes that are savory, convivial and gastronomical and from the other hand to the urban scenery through a point of sale that is extremely mobile which can adapt perfectly to the modern development of our metropolis. 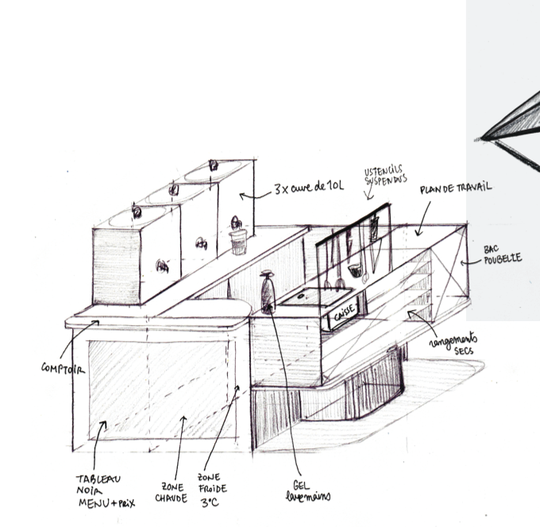 • Urban Friendly : our team wants to integrate its concept to the city while respecting its beauty and organization. For this reason we have opted for a selling tool that is sustainable and that would easily fit to the urban environment. 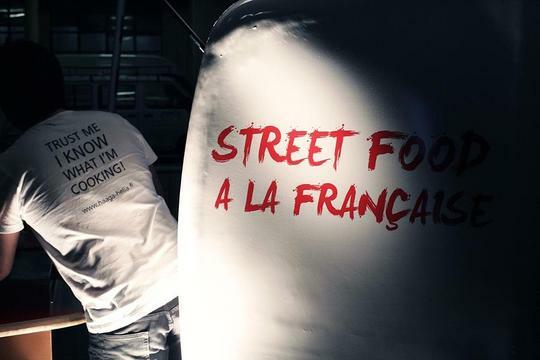 To summarize, Street Food à la Française offers to its clients traditional French recipes from the different regions and terroirs of France. We have adapted them to a nomadic consumption to be able to savor them on-the-go. We have revisited the traditional saucisson brioche and created the Hot Dog Lyonnais, which is a saucisson that is for cooking, filled with toppings that vary depending on the seasons and then rolled in a home-made brioche. When we first decided to work on a Food Bike (a triporteur), we wanted to access a maximum of places that were impossible to be accessed by food trucks. With this in mind, we have stressed on the sustainable development approach as we do not consume any polluting energy while moving around. 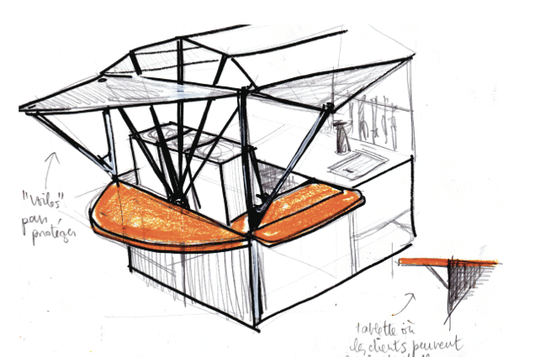 Thanks to its conceptualization, our food bike can be installed in 10 minutes and has enough space to sell up up to 200 menus autonomously and up to 80 L of home-made beverages (Iced-tea, Lemonade, Orangeade..). 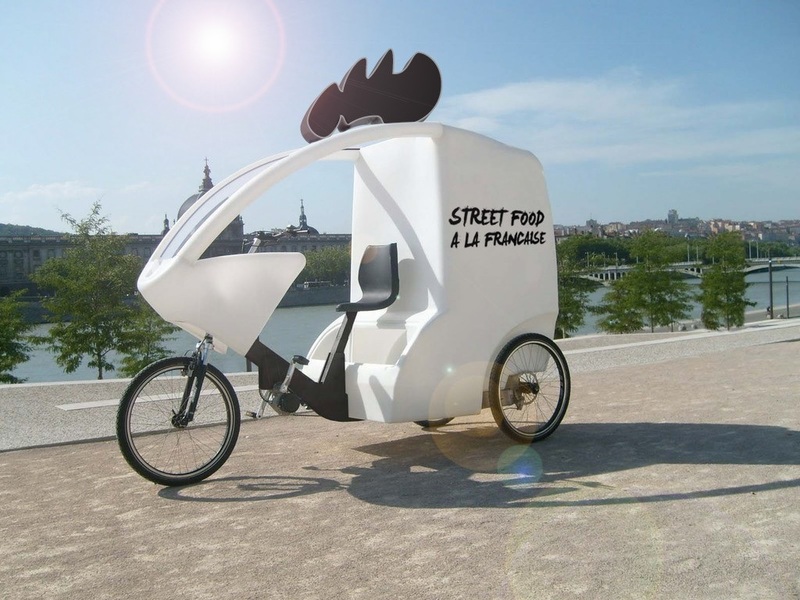 Thanks to you, Street Food à la Française would be able to buy a new trailer which is much lighter, more ecological, more autonomous and much more practical! Since the creation of our concept we have had the opportunity to participate to a large number of events where we realized the limits of our prototype. • Not completely sustainable nor ecological, which makes us feel guilty towards the environment! • Little autonomy, thus making us have to plug our bike to electricity. And trust us, an oven takes a lot of energy! • Quite a heavyweight, which gives a hard time to our Chief-Biker Louis, especially climbing up the hills. • A limited practicality which makes our clients wait longer then what we have defined in our standards. We have identified all of the ‘small details’ that we have observed and defined the different points to be ameliorated. • Our huge abat-jour, which protects us from the rain and gives us a strong visibility from a far distance. • The general idea of the design. • Our small bar on the front which gives our clients a solid support while chatting. • The dimensions as we can get anywhere we want. 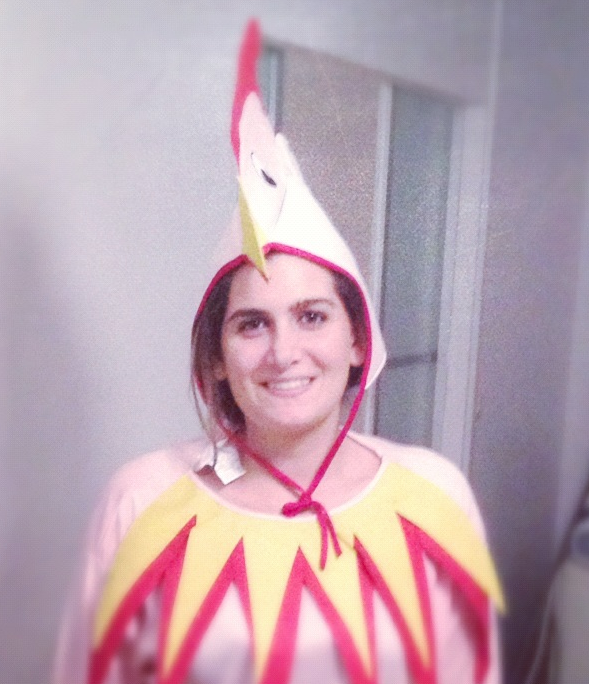 • The installation timing with the record of 8 minutes and 36 seconds achieved by Zeina. • Our trailer is currently entirely modular (we can add any type of small equipment and inter change them). We would like to add a clipsable effect in case of heavy rain. • The storage points, even though are very practical, are not positioned properly to ease our operations, they would be adapted to our offer. • The space between the wheels of the trailer; at 70km/h on the paved roads can be tricky and not stable. We have imagined a system to adjust the width of the wheels for better stability. • Our fridges should be 100% autonomous for at least 6 hours! • Our own energy, such as a solar one to get electricity to lighten our lights. • A bunch of kits: A pharmaceutical kit, in case of small injuries ; A bike kit, in case one of our wheels flatten out ; and an Equipment Kit, to always have knives, cutting board and spoons on hand. • An automatic and modern cashing system to be able to count more rapidly! Its true that Hugo is a mathlete but he’s not a calculator! • The most expensive part is going to be the design (1500 Euro) and the equipments such as the oven (1000 euros) and the non energy consuming fridges (2000 euros each). • Concerning the rest, there are the kits, the cashing system, the small equipment and the solar energy. Pack Street-Art : For the modest sum of 5 €, we will engrave your name on our new trailer for you to always be part of our concept!